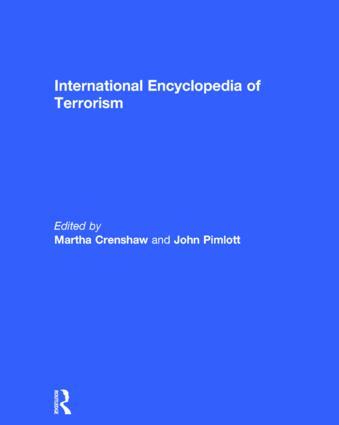 This timely reference book places the growing 20th century phenomenon of terrorism in an historical context. Starting with the use of assassination in Ancient Greece and including the recent bombing of the American military complex in Dhahran, Saudi Arabia, this encyclopedia covers the globe in its presentation of all aspects of terrorism: history, theories of, types of, and responses to, as well methods and techniques. There is a chronology of major terrorist events from 1945, an A to Z listing of terrorist groups and leaders, a select bibliography, and indexes (general, name, and geographical).